How do you get the most out of your Google AdWords campaign? James Schramko has invited AdWords specialist Ilana Wechsler to offer her expertise on the topic by highlighting 10 commonly made AdWords mistakes and how to go about fixing them. 02:43 – How structured is your account? 06:02 – What’s driving your conversions? 17:27 – Do you have negative keywords? 32:17 – Is mobile working for you? James: James Schramko here, welcome back to SuperFastBusiness.com. Today, we are talking Google AdWords. In particular, we’re going to be talking about 10 classic mistakes that people make when they’re doing Adwords. So if you’re doing AdWords, or you’re thinking about doing AdWords, you absolutely must tune in to this episode, because you are going to save a fortune in the Google tax. And today, I have brought an expert along because I’m no longer an expert on this subject, so welcome to this episode Ilana Wechsler. Ilana: Thank you, James, it’s awesome to be here. James: Thank you for coming over here. You are normally found at greenarrowdigital.com. You are an expert in paid advertising. In particular, you’ve been doing quite a lot of work with Google AdWords, and I hear you also do some Facebook stuff. Ilana: It’s true, yeah. I’m a specialist in paid traffic, and obviously AdWords and Facebook are very much my bread and butter. James: Right. And I’ve been referring clients to you, because they’ve been getting great results. And as part of my coaching group at SilverCircle there, I get to work closely with you and I see what you’re doing, and I like what you’re doing for the clients. So I’ve said hey, we should talk about this stuff on an episode, and here we are. Let’s just get into the mind of our potential trainee here – someone who’s got an AdWords account, possibly running some campaigns, or about to embark on the difficult trial of setting it up. And it’s not that hard from the Google perspective – you’re putting in your payment method and start a campaign. But there are quite a lot of options for you to choose, and many wrong turns you could take that are going to cost you big time. Does your account have structure? So what we’re going to be looking at in this episode is what sort of things do you expect to find when you’re logging into someone’s Google AdWords account? What do you already know they’re going to have made a mistake with, and importantly, what can we do to fix that? We’re going to cover a few of these, up to 10 I think, so let’s start with the number one top mistake that people are making with their AdWords campaign. Ilana: Alright, so I have the privilege of getting access to hundreds of AdWords accounts, and the classic mistake I see everyone make is they don’t have structure in their account. And what I mean by that is they just have one campaign, one ad group, and literally hundreds of keywords in that one ad group. And it’s a classic mistake because there’s no relevance for the keyword to match the ad. So you have to structure your account properly, such that they’re all separated into appropriate keyword themes. James: Right, so this is along the lines of segmentation. Ilana: Exactly. That’s right. And the same applies to AdWords. James: So in business, it’s very hard to have a one-size-fits-all solution. In your AdWords account, if you are trying a one-size-fits-all advertising approach, then you are probably being not that relevant to most of the people that are seeing your ad, so therefore you’re overpaying. Is that right? Ilana: Hundred percent. You’re massively overpaying. You get really bad clickthrough rates because your ads just aren’t relevant to what they’re meant to be saying. You end up paying a lot more because your quality score is terrible, and it just kind of all goes downhill from there. James: So the fix is we need to structure our account into more granular detail, is that right? Ilana: Exactly. As you sort of touched on, there’s many default settings that Google made that are sort of designed to make it easy for you to create an account, but they’re actually not designed in your best interest, which I think is actually quite unfair of them. And one of them is grouping together a search campaign with a display campaign together, so the search and display are together, when really they need to be separated out into two completely separate campaigns, because the behavior of those campaigns is completely different. And by having them together, the data that you get from that campaign is completely worthless, because the clickthrough rates are completely different, the amount of impressions you get is completely different. So you need to, as I said, separate the search and display campaigns to be separate. But you also need to create keyword themes within just the search campaign, as well as your display campaign. So there’s sort of multi levels of the granular aspect to it. James: Excellent. So your account’s going to be into lots of little tightly segmented groups so that you have a minimal amount of keywords, a hyper-relevant ad for that keyword, and that you are now rifle sniping instead of using a shotgun. Ilana: Exactly. And then, by structuring it that way, you can create really, really specific ads that are relevant to that particular keyword, because an ad is tied to an ad group. So by separating them out, you know that your ad is laser-targeted to that particular keyword, and it’s really relevant to that person. You will find an infinitely better clickthrough rate and conversion rate. James: Perfect! Alright, well, let’s talk about classic AdWords mistake number two. Ilana: Number two: no conversion tracking. Ilana: [Gasp] I know! And I can’t tell you how many times I see it, time and time again, where there’s no form of knowing what’s working and what’s not. Your phone’s ringing and things are going well, but you got no idea which keywords are driving those conversions. You got no idea which ads are working. So in our agency, we implement at least three different types of conversion tracking. Number one being obviously, someone submits a form online, so they have a thank you page and that conversion-tracking pixel is fired when they land on that thank you page. Number two is the calls directly from the ad, so someone who hasn’t even gone to your website at all, they’re on their mobile device, they’ve done a Google search, seen your ad, they’ve clicked Call and they’ve just gone straight to calling you, and that’s a different conversion because it’s a different kind of behavior. And number three is a call from your website. So this is a little bit different, where they’re, let’s say, at home, they’re doing a Google search on their desktop, they click on an ad, they go to your website, they go, “Yup, I’m interested,” they see the phone number, but then they change device and they pick up the phone and call you. So effectively, with that change of device, you would have normally lost the ability to track them. But you can set it up such a way with Google call tracking, which is a free service, where that phone number is changed, and it’s a dedicated AdWords number, so that they call that AdWords number, but it’s swapped at the switch (I don’t know how Google do it), and they end up calling you, but the important thing is that you get the data. It’s tracked backed into your AdWords account, so you know which keyword triggered that particular phone call, and you know which ad they clicked on, etc. So you get all the benefits of the knowledge. James: Perfect. So in other words, you shouldn’t run an ad unless you can tell if it’s a winner or a loser, and the way you do that is to install conversion tracking. Of course, if some of the terms that Ilana’s using here are beyond your current awareness, that’s OK. That’s a good reason to be listening to this episode. You can look it up – conversion tracking, pixels, etc. You’ll need someone to install this on your website, or at least get the pixel from your account, and it will be a minor amount of tech. Once you overcome that hurdle, you usually only have to do this once. Once you’ve done that, it will automatically start tracking which ones of your campaigns are working. It allows you to turn off the losing campaigns so that your winning campaigns can be scaled up, your losing campaigns can be stopped, and you’ll stop paying for ads that are not doing anything for you. Is that right? Ilana: Exactly. It’s kind of like a reallocation of budget, so you’re taking money away from campaigns that are losing money and aren’t working, and pouring that money into the campaigns that are working, so you’re spending more on what is working, but equally important less on what’s not working. James: …for anyone who’s got a serious marketing budget, so that you can scale up the winners. Alright, mistake number three, classic AdWords mistake. Ilana: Number three is that they’re running ads, but they haven’t set up remarketing or installed the remarketing code on their website, even if they’re not doing remarketing. James: OK, let’s first just explain what is remarketing. Ilana: Remarketing is showing ads to people who’ve been to your website before. James: Perfect. We’ve covered this many years ago. I’ve had other discussions about remarketing, you can look them up on SuperFastBusiness.com in the search box. We’ll also link to some of them in the show notes if you want to get deeper into it. What Ilana’s saying here is that you’re missing a huge opportunity if you’re not putting that code on your site, because you might want to be able to get in touch with people who visited areas of your website but didn’t take the next step. I imagine a checkout page is a pretty good place to be putting a remarketing code. Ilana: Well, ideally, you want it sitewide, which is on every single page of your website, because, as we both know, 98 percent of the people who come to your website don’t do what you really want them to do, so remarketing is a great way just to get a second bite of the cherry. And it’s laser-targeted, because they’ve been to your site before, they know you already. So the classic mistake is, you know, they’re running ads, but if you don’t install the pixel, you can’t have that second bite of the cherry because it’s sort of similar to Google Analytics code, that it needs to be installed to be recording who’s been to your website before. So ideally, I say to people even before they start running ads, let’s get that remarketing pixel on your site now, so that if and when we do want to start remarketing, we’ve got a huge list of people who’ve been to your site before that we can just straightaway start showing really targeted ads to. James: Right, so it’s an invisible database that you can just turn on at will, and it’s highly targeted. James: And there’s cool stuff you can do with specific remarketing for certain segments who you know are more likely to respond. For example, the checkout segment. Ilana: Yeah, exactly. And that kind of leads into another one of the mistakes, which we can cover now. James: Cool. Let’s go. Mistake number four. Ilana: Yup. So if we’re continuing on the remarketing example, is that you need to create separate lists of people. The maximum allowable time Google will remember who’s been to your website is 540 days. So you’ve got your master list, but then what you need to do is you need to create sublists from that master list, based on certain criteria. And that criteria can be time since they’ve last visited your site, as well as pages that they’ve visited your site. So you might have a list of people who’ve been to your website in the last 30 days, 60 days, 90 days, etc., as well as additional lists of people who have visited certain pages, as you touched on, your shopping cart page. Or they’ve been to view the cart but they haven’t completed the purchase. So you need to step that out granularly as well, so that you can create campaigns based on that behavior. James: Right. And also you can do other segments, can’t you? Like how long they spent on the website? Ilana: Exactly. So that is through incorporating Google Analytics remarketing. You need to link your Google Analytics account to your AdWords account, and then from there within your Google Analytics account, you can create remarketing lists based on behavior. So for example, you might say, analyze your Google Analytics account and say, “Yeah, people who spend more than two minutes on my site have a much higher conversion rate. I only want to remarket to those people, because they convert better, they’re worth spending money on,” for example. Or people who have an iPhone convert better than people who are Android. I mean, you can be as granular as you like. James: Right. And I imagine after seeing so many accounts, you’ve got a pretty good idea what type of remarketing segments you’re going to go for when you’d like to shoot the fish in the barrel. Ilana: Exactly, yeah. So at least we start with the classic kind of winners, and then from there we can expand out or not, obviously it’s dependent on budget of the clients. James: Of course. Now, it’s worth mentioning at this point, if you think you want help with this, then you can go and visit Ilana’s site at greenarrowdigital.com, where she can actually find out if you’re the right type of customer that she normally would help, and you can find out if she’s got the right service for you. And she might be able to help you do this if you pay her and ask her nicely. On the other side of it, if you want to learn how to do this yourself at a high level, I know that from time to time Ilana’s running masterclasses, she has a page at greenarrowdigital.com/masterclass. You can head over there and invest a little bit in your education and have Ilana teach you what she knows over a series of weeks, so that within a short period you would have a master level of AdWords. Let’s get back into the 10 classic AdWords mistakes, and we’re up to mistake number five. Ilana: OK, so let’s continue on with the remarketing topic, because it’s another classic mistake that people make, and is that they just set up the remarketing campaign but they don’t apply any restrictions. I really feel a sneaky default setting for Google is that what you’ll find is when you analyze where those remarketing ads are being shown, you’ll see that they’re on literally thousands of these mobile apps. People out there have got kids, I know my kids play on the iPad and there are all these in-app ads that sort of pop up, and my kids inadvertently click on them and they’re completely unintentional. So you can put in a negative placement in your remarketing campaign that will prevent your ads from showing up on all these really silly mobile apps. Some people think, “Oh, well I can just turn off mobile,” but then that’s the whole iPad usage as well. So the URL you need to put in is adsenseformobileapps.com, and you put that in as a negative placement, and you will save a lot, a lot of money. I recently had a look at an account who had a really longstanding account, was managed by people and they hadn’t done this, and I calculated over the lifetime of the account how much they had spent on just these mobile apps, and it was $5,000 approximately. Crazy. So you’ve got to put this placement in, and you just will save a lot of money. Have you ever found a customer where those types of ads are effective? Ilana: I haven’t, to be honest. I mean, I’m sure there’s probably some out there, and maybe you ought to be a little more targeted about which particular type of mobile app placements you’d want to be on, rather than being on all of them, because there are literally thousands. So I’d want to be targeted about which ones I want to be on. James: I imagine you’d have to have a pretty general offer for it to be effective, like those weight loss ones, that apply to most of the population. James: OK, great tip. What about mistake number six? Ilana: Number six is no negative keywords. I see it time and time again. James: Now you’ve got to explain what this means. I know what it means, and it’s important. Ilana: OK. So as we sort of touched on before with conversion tracking, spending more on what is working and removing the waste. So negative keywords are keywords that you tell Google, I don’t want to show up for these types of keyword terms. So it’s inconceivable to think of every possible keyword you want to show for, so you can set up the keywords such that you can give Google a little bit of rope to go, “Yeah, these are the kinds of keywords I want, go out and find me people like this.” But you add negative keywords in conjunction with that to restrict them from going a little bit crazy. A classic example is let’s say, you’re a lawyer and you’re sort of targeting your services, but you don’t want people who are looking for lawyer jobs. So a classic negative keyword there would be, “jobs”. So you are restricting Google from kind of showing your ads where they’re not relevant. James: And I think another one from memory might be, they had certain paid solutions you’re offering, you might want to restrict the word, “free”. Ilana: Yeah. Or a “university course”. Ilana: Yes. So one of the processes that you need to do with ongoing management is to look at the search query report, which is a very slight distinction for the keywords. A lot of people think that when they type in the keywords that they’re bidding on that that’s what someone actually typed in. That’s not. The search query report tells you what somebody actually typed in, so you need to analyze that report to give you ideas of what are additional keywords to add, but also negative keywords to continually add. Because as I said, it’s inconceivable to think of every possible negative keyword, so by monitoring that search query report you go, “Oh, OK, I’m showing up for this, I don’t want to show up for this anymore. That’s not right, this is right.” So you’re constantly tightening the ratchet, I guess, on doing more and more and more of what’s working and less of what’s not working. James: Right, so it’s campaign optimization. If you’re a software company, you might see that people are searching for your software and torrent, or crack. James: You might want to exclude those people, because you think they may not have commercial intent. Ilana: Hundred percent. And once you’ve installed the conversion tracking, you will be able to see which search queries have actually led that person to contact you, and which search queries have not. So over time, you’ll get an idea of what are the converting keywords and what are the ones that are wasting heaps of money. James: Perfect. Let’s move on to classic AdWords mistake number seven. Ilana: Number seven is that they only have broad match keywords in their account. And what I mean by that is there are many different match types that you can have in your account, and that’s kind of, if you think about it like, how much autonomy you want to give Google. So let’s say you know exactly the keywords that you want to show for and only those keywords, you would put in your account what’s called the “exact match” version. James: So that would be like, “red BMX bike male”, or something like that. Ilana: That’s right, exactly. And you only will show up for the instant when somebody types in that exactly. Nothing before, nothing after, no plural, nothing, just only that phrase. But let’s say maybe that term, there’s not a lot of search queries, and what people type in actually amazes me. So you kind of want to give Google a little bit of rope. So the next sort of layer of the onion out, is what’s called the phrase match, where you might want that phrase, but you say, “Well, I don’t mind someone having something before it or after it,” because there’s many permutations to search queries. James: So that might be, “kids BMX bike”. Ilana: Exactly, yeah. And the next layer out is what’s called “modified broad”, which means those particular words have to be there, but they can be in any particular order. James: Right, so someone could have, “BMX bike kids”, or “BMX kids bike”. Ilana: Exactly, that’s right. And the last one, which sort of gives Google the most amount of autonomy, is what’s called “broad match”, and you will show up for “blue BMX motorbike”, or I don’t know, I’m making that up. But you know what I mean. James: Right. So someone types “blue lake picture”, they might pull up your blue BMX kids ad. Ilana: Yeah, it could be useless. So I personally very rarely use broad match, I mean very rare instances. But if I do, I have a ton of negative keywords that are tied to that broad-match keyword. James: So you might do it when you’re sort of starting out, on a bit of a discovery mission, if you’re not super sure of your mark, if you haven’t got any SEO analytics or conversion data. You might start out a bit broad, but you’ll very quickly want to stick in your negative keywords, turn off the losing ads, because you’re conversion tracking, and then split out the winning structure into their own little specific exact groups. Ilana: That’s right. So people have the broad match keywords, with no negative keywords, and they’re showing up for all sorts of completely irrelevant search queries, and spend a lot of money, because obviously, as we all know, AdWords is an auction, and some keywords are really expensive. If you’re showing up for them, you’re exposing yourself to the opportunity. You’re spending a lot on a keyword you don’t even want. James: Now, just explain that – AdWords is an auction. Ilana: OK. Effectively, as I said, it’s an auction whereby people are bidding on a particular keyword. So some keywords, nobody is interested in bidding on, it’s not really worth very much to them. Say for example, many hobbies, or something like that aren’t really competitive keyword terms, versus a keyword which is worth a lot to someone. Say for example, “lawyer Sydney”, where obviously, legal services harness high return on investment for the lawyers, and therefore that’s a very classic sort of expensive keyword, where there’s lots of people bidding on it. James: So, because there’s a small amount of practitioners and there’s such a high value for jobs. Ilana: Exactly. And legal work, as well. James: Yeah, like it’s high-value jobs and the stakes are high. Ilana: That’s the broad match mistake. James: Broad only. Let’s talk about mistake number eight. Ilana: The mistake number eight is that they have no ad extensions in their ads. Ad extensions are enhancements to your search ads. Normally, people know that search ads have got the headline, and they’ve got the two lines of text, and then your URL. But ad extensions are, as they sound, extensions to that ad, and you can have lots of different types of ad extensions, be it site links, which are additional links to a different page on your site, you can have callout, you can have call extensions, you can have location extensions, and so if you utilize all the available ad extensions in your arsenal, you can have up to six lines in an ad, pretty much, which is where Google real estate is prime real estate that, you know you can take up a lot of real estate. James: So it’s like you’ve got the ability to have extra sign posts on your ad and some people aren’t using them all. Ilana: Yes. And it’s important as well, because ad extensions are actually part of what’s called the Ad Rank formula, which is Google’s ranking mechanism of who they decide gets the number one spot or the number two spot. That kind of like leads me to the next thing where we sort of talk about quality score. Some people might be familiar with the term “quality score,” and it’s basically Google’s sort of metric of analyzing how good a keyword is in an account. So it’s a number from one to 10 that Google assigns, as I said, at a keyword level. And if you have a high quality score, it basically means you will pay the lowest amount possible. So a misconception is that an ad in the number one spot is paying the highest amount versus number two or number three. And that’s actually wrong, because they might have a really good quality score, which means that they might be actually paying less than the person in the number two spot. James: Right, so you want to get your ad extensions fully done. Ilana: Yes, because it is, as I said, part of the Ad Rank formula, which a very large component of that is quality score, which is a very important metric in your account. By having no negative keywords and broad match keywords that really affects the quality score of your keywords, so you end up paying more and more and more. James: Cool. So get your ad extensions fully embellished. Ilana: Is people only test one ad at a time. They don’t run two ads together at the same time, so they’re not split testing ads. James: So we should talk here about A/B split testing? Ilana: Exactly. AdWords is the ultimate testing ground, in my view, where you can run two ads with completely different messaging, and you can see the performance of them. Performance, I mean, by the clickthrough rate and the conversion rate. Fifty percent of the time, one ad will be shown, and 50 percent of the time, the other ad will be shown. 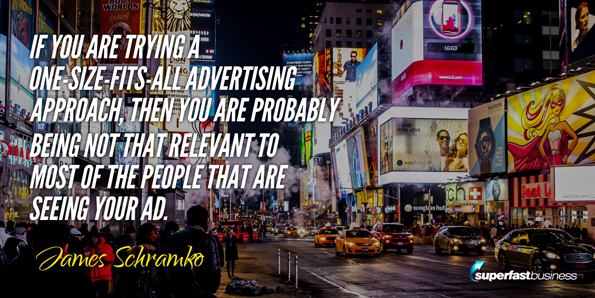 But what you’ll find is, once you kind of let the ads run for a while and they start gathering impressions, there will always be one winning ad, and there will always be a losing ad, once it’s sort of statistically viable. And that way, once you find an ad that’s not performing as well as the other ad, you can stop the underperforming ad and create a new split test. So you’re constantly improving the clickthrough rate of your ads, but importantly, understanding your market and the messaging that resonates with your market. James: Right, so at any one time, we’d have to assume that one of the ads will be better than the other one. James: So there’s never any time where you shouldn’t have an ad comparing to the first one, to see which one’s better. Ilana: Exactly. You should always be split testing your ads, be it search ads or display ads or remarketing ads, you always should be running the split tests, all the time. James: Because we’re running conversion tracking, we know which ad performs better, right? James: Now what about someone saying, “Oh, Ilana, I’ve got an ad that’s working so well, I don’t want to risk sending half my traffic to an unknown quantity.” There’s options there, isn’t there? Ilana: Yeah, you can decide that you might not want to send half the traffic there, or you can run it for a finite period of time. So yeah, you don’t have to split it evenly, you can say, “I don’t want to do that.” But I would urge people to split test evenly, because personally, I am amazed at some results that come through. And the numbers don’t lie. James: Well, they can lie temporarily, but you have to go to a statistical significant number, right? Ilana: Yes. So I personally like to wait till each ad has had about 30 clicks each. James: I was going to say, 30 actions is a good little starting benchmark. James: And if you’re running a first time ad, you’re probably going to need at least 300 clicks to find out if you even have a one percent conversion, because you might get one conversion in a hundred. If it’s a really bad offer, it might be one in 300, like 0.3 percent. If it’s a really good offer, you might only need 30 or 40 clicks till you start making a conversion. So there are certain minimum thresholds that you’ll have to run an ad for. And there are tools also that you can go and plug in your stats, that will tell you if it’s statistically significant or not. Ilana: Yeah, it’s true. I personally don’t use them, but I know people that do. So you could totally do that as well. James: Yeah. So 30 actions is a good starting point. Ilana: Yeah. I generally go by that. And you get a bit of a sense of kind of what messaging is resonating with people. For example, I like to test one thing at a time, so I might just be testing a headline at the one time, the same ad, but just a different headline. Once I know the winning headline, right. I apply that, and then I change my ad. I might test a different description line one, for example. And so just be really structured about it, because if you test all these different things all at once, you don’t really know what’s working. So you want to just be very stepwise about it. James: Right. And when you’re starting out, sometimes it’s a good idea to have quite different ads, just to see which one gets you closest to the mark quickly. Ilana: Yeah, and I like to test wildly different display ads, especially with remarketing ads. I’m a big believer in good design, and I like to test wildly different design, and maybe some complete black and white images versus color, versus all this kind of stuff. So I find from a display perspective that wildly different designs works really well. James: When you’re starting an account for someone and you’re going to do display advertising, how many artworks do you require from them to start with? Ilana: Well, often people, especially if they’re doing it themselves or whatever, they’re constrained by budget, so the best way I like to start is I just test one ad unit size, and that’s 300 x 250. Ilana: With six different designs. And I like to just scattergun, let’s get the designs out there. And by testing the one ad unit size, you’re removing the variable of ad unit size being a factor of what’s worked and what hasn’t. And once I find the top two designs from my six and the one ad unit size, I then roll out those two designs in the different ad unit sizes. James: Perfect. And you’ve found that size is a good size to start with? 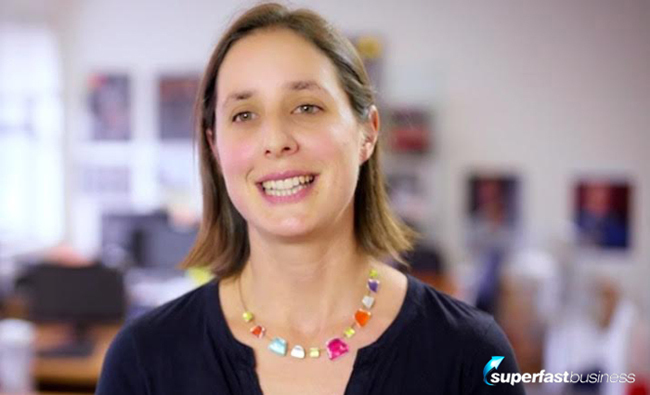 Ilana: Well, the 300 x 250 has a lot of available ad placements, and you’ll get heaps of impressions with that ad unit size. How is mobile working for you? James: Perfect. So let’s finish this up. Ilana, what is the number 10 classic adwords mistake that you see? Ilana: You know, in today’s world, we’re such a mobile world, and I think that people really need to pay attention to how mobile is working for them. And to basically analyze the mobile traffic that they’re getting, and work out, is it worth applying mobile traffic in their AdWords. Like for example, let’s say they look in their Google Analytics and they think mobile traffic does not work really well, then it’s worth turning off mobile in AdWords. Because you don’t want to be spending all this money on AdWords traffic on a mobile if it doesn’t convert very well. Or maybe mobile converts really, really well, and you want to increase your bids for mobile, then AdWords is a perfect place to do that. So I’d say the number 10 is like, focusing on mobile to work out how you have to adjust your bids for that mobile traffic. James: Do you ever tune the website in coordination with that? Ilana: Yeah, and maybe we create a mobile-specific campaign, with a mobile-specific landing page, but that kind of comes a little bit later for people. James: Yeah, it might be the second episode. If you’ve enjoyed this episode, and you want to find out more, the more advanced stuff, and frankly, Ilana knows a lot more advanced stuff, but I’ve insisted we start with the basics stuff, because I’m sure it would be rare that someone’s been able to tick every one of these 10 mistakes. And if you’ve been able to adjust just one or two of these mistakes as a result of listening to this podcast, you’re going to save a fortune in AdWords budget, and you can reinvest that to get a better result. So come back and leave comments on this episode, it’s called 10 Classic AdWords Mistakes (And How To Fix Them). I’ve been speaking with Ilana from greenarrowdigital.com, and we have more information available. If you want more, just let us know so we can put together another podcast episode for you. Ilana, any comments you’ve got to round out this episode? Ilana: No, I think we’ve pretty much covered all the 10 mistakes that I see so many people make. So please, I urge you to go through your account and have a look at each of these mistakes that we’ve covered, and rectify them, because over time, AdWords is not set and forget, and the wasted adspend can add up and frankly, Google don’t need any more money than they already have, in my opinion, so you want to make the money you do spend with them go as far as possible. James: And if you’ve had your Adwords managed by someone, and you’ve found that any of these 10 haven’t been addressed, I encourage you to get a hold of Ilana and have a talk to her about taking over your AdWords management, because she obviously knows what she’s doing. Ilana, thank you for joining us and sharing these valuable tips. Ilana: Thank you for having me, James. Great to be here. James: I’ll speak to you soon.